The Tartu-Moscow School of Semiotics, born in the early 1960s as a joint initiative of intellectuals from Tartu and Moscow, was led by Juri Lotman on the Tartu side and Vyacheslav Vsevolodovich Ivanov (21 August 1919 – 7 October 2017) on the Moscow side. Ivanov was a polymath whose many-sided interests met in the field of semiotics. His studies encompassed early history of Indo-European languages and cultures, Hittite culture and language, machine translation, literary scholarship, mathematical linguistics, cultural anthropology, etc. Ivanov graduated from Moscow State University as a philologist in 1951. He remained attached to the university as a faculty member and after four years defended his dissertation. In 1958 he was dismissed from the University as he disagreed with the official judgement passed on Boris Pasternak’s Doctor Zhivago and openly supported the views of Roman Jakobson, including the latter’s thoughts on semiotics. During the following 30 years Ivanov worked with Vladimir Toporov, another prominent member of the Tartu-Moscow School, at the Institute of Slavic and Balkan Studies of the Academy of Sciences. He resumed his position at Moscow State University only in 1988. After that he was active in many fields, teaching at Stanford University and holding a professor’s position at UCLA where he edited Elementa: The Journal of Slavic Studies and Comparative Cultural Semiotics (1993–2000). Starting from 1989 he was also the director of the State Library for Foreign Literature in Moscow, and since 1992 the head of the Insitute for the Theory and History of World Culture at Moscow State University. He retained his ties with Tartu as a board member of the journal Sign Systems Studies published at the University of Tartu. 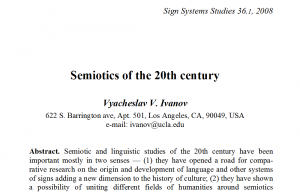 During Juri Lotman’s lifetime, Ivanov actively participated in the Tartu Summer Schools of Semiotics, conducted various special courses (on Boris Pasternak, Sergej Eisenstein) at the University and was among the most prominent contributors to Sign Systems Studies. 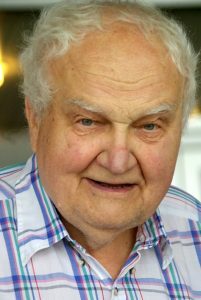 He engaged Juri Lotman in the founding of the Insitute for the Theory and History of World Culture at Moscow State University, with Lotman compiling the research programme for the Institute’s Department of Russian Literature. In cooperation with the University of Tartu, the Institute initiated the publication of an academic edition of Lotman’s collected writings that Ivanov provided with a preface. In commemorating Ivanov, it is impossible not to recall that the lasting quality of his remarkable scholarly legacy was always accompanied by his excepitonal social sensitivity and ethical integrity. I had the pleasure of meeting him at a conference and spending some time talking with him. 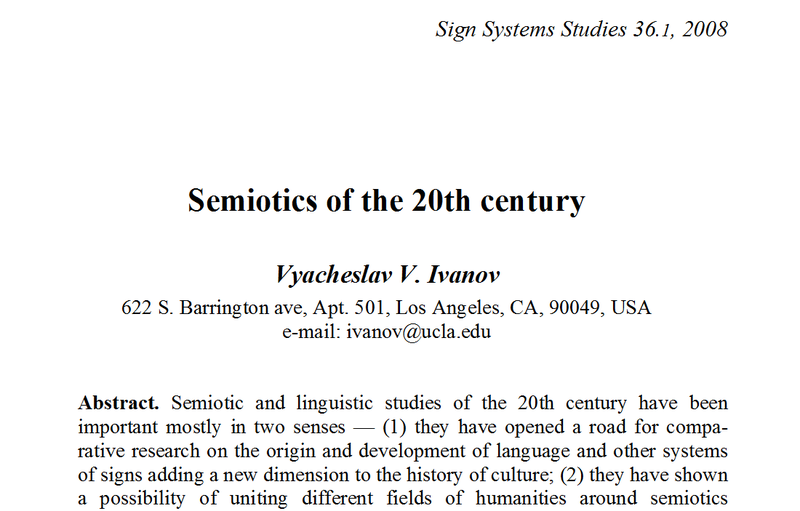 I wrote an article on a joke about Russian politics for a journal he edited, Elementa: A Journal of Slavic Studies and Comparative Cultural Semiotics. It was called “What’s In a Joke: A Micro-Analysis” and came out in 1994. He was also teaching or connected with the University of California at Los Angeles, if I remember correctly. He was a very important scholar and a very nice person. fare thee well Vyacheslav Ivanov. It is a tears-pulling departure not only from the Tartu-Moscow School, but from the global family of semiotics. Ivanov may be gone, but his spirit lingers on and his works live on. Ivanov, Adieu! Dear friends, what should I do if I want to be a member of IASS-AIS?